When the average person hears the term, Morphogenic Field Technique, (s)he's likely to utter morpho what! Yet it's a technique that can benefit everyone, restoring health and vitality by providing the body with the unique exact nutritional remedy it needs. What is Morphogenic Field Technique Based On? Morphogenic Field Technique (MFT) works with the energy emanating from and surrounding the body. This is the morphogenic field (M-field). Inanimate objects have one as well, but theirs is constant, whereas those of living organisms are dynamic, expanding or contracting, depending on personal environmental factors. Like quantum physics from which it originates, morphogenic field technique works with extremely small energy particles in the M-field, sub-atomic particles called packets of energy wholeness. Each person's M-Field is unique, a personal energy signature containing trillions of packets of energy wholeness. Its size is influenced by factors in his immediate environment, like diet, toxins, lack of sleep, emotional state, and stress. The M-field surrounding a healthy, vibrant person extends five to seven feet. An M-field measuring less than one foot is a sign of significant health and/or nutritional challenges. Such a patient will often complain of chronic fatigue or persistent pain. The practitioner, having tested and determined the size of the patient's morphogenic field, will design a 100% natural nutritional or herbal protocol, customized to fit his needs; the goal being to balance and expand the M-Field, thus restoring his health, energy levels, and well-being. The technique is based on the specific resistance of the patient's locked muscles (or lack of resistance), when the M-field is presented with vials containing specific bio-energetic signatures of a number of testing substances. MFT testing is painless, non-invasive and can be done in less than 15 minutes. How Does Morphogenic Field Technique Work? After observing the responses that tell him which of the body's systems are affected, and which nutrients or herbs are needed, the practitioner will determine the dosage of needed products as indicated by the test. With the patient holding the prescribed substances within her M-field, he will re-measure the muscle response, and by extension, the size of the morphogenic field itself. The benefits of morphogenic field technique are two-fold. 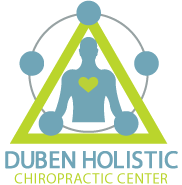 By measuring the patient's unique energy signature, the practitioner can compound a nutritional or herbal protocol formulated for her, and her alone, balancing and expanding her energy field, restoring optimum health and vitality. Secondly, since the patient observes her muscles' response firsthand, it tends to foster a dedication to following the regimen. To find out more about morphogenic field technique, please contact our practice.